Contributing to the third GISWATCH report my chapter explored the net we had sought to create in the early 1990s, what it had become and where we seem to be headed. It reflects, in part, on an article I wrote just over 20 years ago, The Net: opportunity or threat, for 21C Magazine. GISWATCH 2014 was launched at Memefest/Swinburne on Tuesday 18 November 2014. 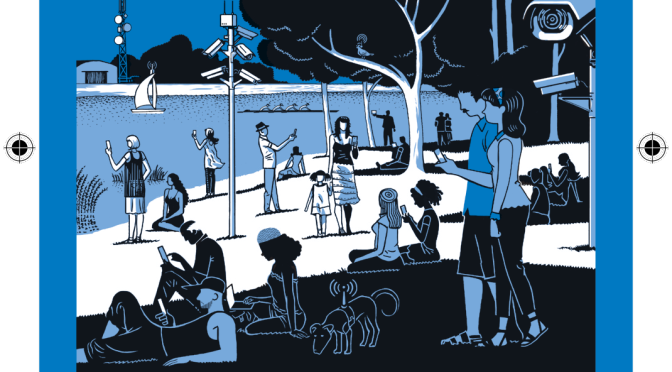 A ground-breaking report on national and global mass surveillance will be launched on 18 November 2014 at the first Memefest/Swinburne at Swinburne University by contributing author Andrew Garton, the Association for Progressive Communications (APC) and Memefest/Swinburne, an extradisciplinary symposium and workshop. The report explores the surveillance of citizens in today’s digital age by governments with the complicity of institutions and corporations. Global Information Society Watch (GISWatch) aims for an open, inclusive and sustainable information society and has produced reports yearly since 2007. This year’s edition of GISWatch is entitled “Communications surveillance in the digital age” and contains thorough contextual analyses from civil society representatives in 58 countries. The reports in GISWatch 2014 expose governments’ use of weaknesses in legal systems and user ignorance to monitor, intercept, collect, analyse, use, preserve, retain and interfere with global internet communications. Memefest/Swinburne and the APC invite you to enjoy presentations by Memefest special guests and contributing GISWatch 2014 author Andrew Garton. Presentations will be followed by an open discussion on solutions to protect human rights on the internet, followed by a light snacks and drinks. GISWatch 2014 is a publication of the Association for Progressive Communications and Hivos.